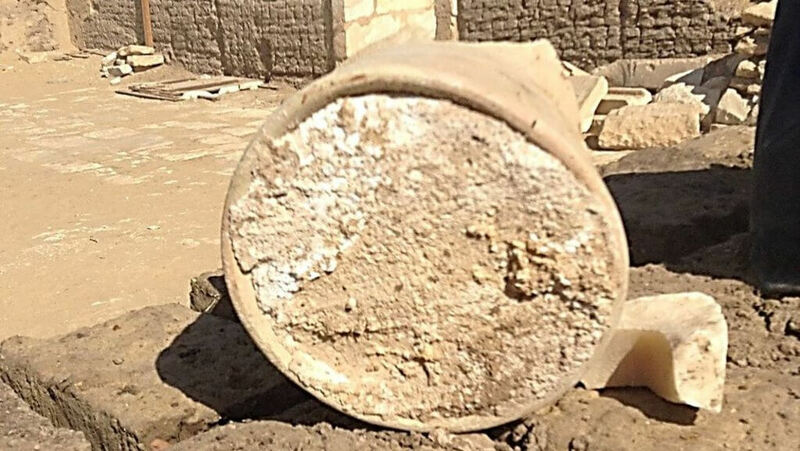 London: Researchers have found the world’s most ancient solid cheese in a 3,200-year-old Egyptian tomb, as well as evidence of a potentially deadly disease. The cheese was discovered from the tomb of Ptahmes, mayor of Memphis in Egypt during the 13th century BC, said researchers led by Enrico Greco, chemical scientist at the Catania University in Italy. After dissolving the sample, the team purified its protein constituents and analysed them with liquid chromatography and mass spectrometry. Other peptides in the food sample suggest it was contaminated with Brucella melitensis, a bacterium that causes brucellosis, said the researchers, in the study published in ACS’ journal Analytical Chemistry. This potentially deadly disease spreads from animals to people, typically from eating unpasteurised dairy products.